Open daily at 11am for lunch, dinner and late night. Join us for Happy Hour 3-6pm and 9pm-close. 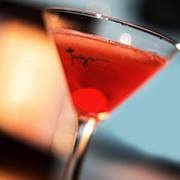 The eighth Twigs Bistro and Martini Bar opened April of 2013, at the Northgate Mall in Seattle WA. The bar features our large liquor tower featuring over 600 bottles, and seats 62 people. The dining room is featured by a pyramid shaped fireplace which is visible from all areas of the restaurant and seats an additional 154 people. This location features two patios, one directly in front of the restaurant features heaters and fire pit to stay warm on the cool evenings. The other is located directly off the bar, combined they seat an additional 96 people.